To retain the SEO ranking information when moving pages from an old site to your new ESP Website, it is important to use a 301 redirect, rather than just recreating the page. By using a 301 redirect, the SEO weight and Google ranking for the web page will be preserved. In the ESP Websites admin, go to the Websites Settings section and select 301 Redirects. Then, click on the Add Redirect button and type the original page URL and the new page URL. If you have a large amount of pages to redirect, you can use the Import File button. For more information please review the 301 Redirects section of the ESP Websites - Website Settings article. To ensure that Google and other web browsers are properly analyzing your ESP Websites and Company Stores, all pages are now included in the site map. To view the site map for your ESP Website or Company Store, go to the main site address and type "/sitemap.xml". The Advanced Search has been enlarged on the ESP Web homepage and now opens in a new window. The updated Advanced Product Search can be closed using the "X" at the top or by entering criteria in any of the available fields and then clicking on the Search button. These options can also be changed on the fly in during the order creation process. An orders contact can be important be cause it lets the supplier know exactly who to contact when necessary. 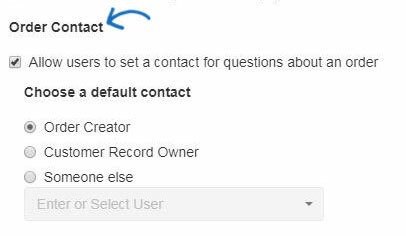 In the Company Profile section of the ESP Admin, the option to set a default order contact is available. On customer-facing documents, such as the purchase order, the order contact will be visible towards the top of the document. 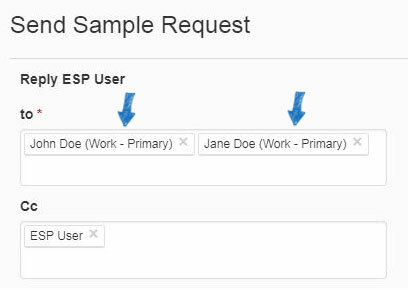 In the Company Profile section of the ESP Admin, the option to set a default salesperson for newly created orders is available. You can select to have either the order creator (user who creates the order for any customer, existing or new) or customer record owner (user who owns the customer account in CRM) set as the default salesperson when a new order is created. When sending orders from ESP Orders to QuickBooks, if the customer is not already in QuickBooks, use the option to create a new customer. Note: It is important to note choosing to create a new customer will establish an account in QuickBooks with the customer name. Building a new company store is now a more streamlined process, which helps distributors save time as they build sites for their customers. Distributors can select a template, color scheme, and company for their customer's site. In addition, you can create a domain name, upload their logo, and select a product collection. 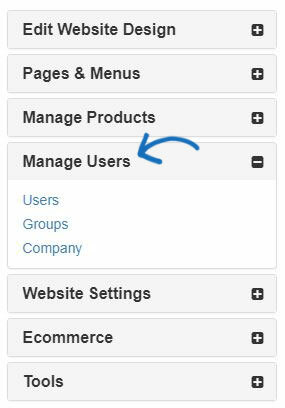 In the Companies section of the Manage Users, there is a checkbox that "All users that create an account must belong to the Company below". When users create an account on a company store, any companies in this section will be available for selection. 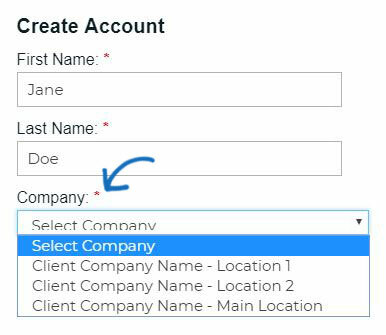 If there is only one company, the field will be automatically filled in during the account creation process. When setting preferred supplier pricing, there is now the option to establish exceptions based on product category, brand(s), or quantity. For example, if a supplier has offered EQP on all their products, except for backpacks and bags, this exception can be established in the Preferred Supplier and Notes Admin. In the Rank & Price window, there is a dropdown for exceptions where you can select Categories and then enter the specific categories that should be excluded from EQP. If you have ESP Orders integrated with QuickBooks, when you send order information that contains a discount and/or payment (partial or full), this information will be included in QuickBooks. When sending a request for a sample or a catalog, the type of email address will be displayed. When creating a sample request, if you have designated a primary for shipping, their address information will be automatically displayed. If a shipping contact has not been assigned, the main primary address information will be displayed. Company Stores now includes a comprehensive user management center which is connected to the CRM. In the Websites Admin, you will be able to manage the user account information for your customers. In addition, you can create groups and link the customers to a company in your CRM. For more information on this feature, please review the Manage Users article. In addition to a new user management module, Company Stores admins can also manage the user's account balance and points. 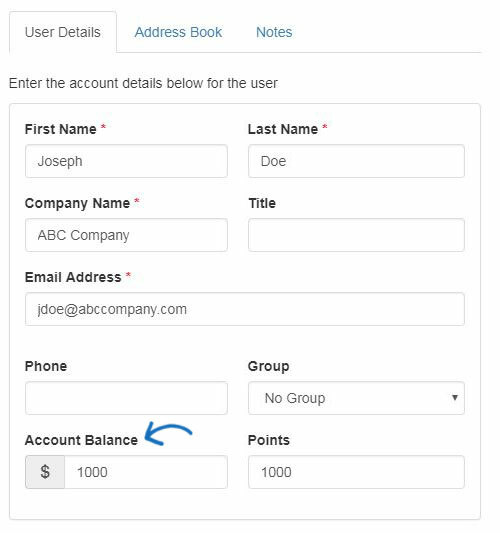 The account balance and points are able work in conjunction with one another, but admins can elect to use only account balances, without incorporating a points system. Customers will be able to view their available account balance during the checkout process. It will not be available in their user accounts, but as the administrator, you will be able to view their account and/or points balance information in the Users section of the ESP Websites Admin. The Products and Product Collections have been moved to a centralized location on the main Websites Admin toolbar. Now, you are able to search for products as well as build product collections for use on any and/or all of your ESP Websites and Company Stores. For more information on this feature, please review the Creating and Managing Product Collections article. The Coupon Manager interface has been streamlined for more efficient management. The Virtual Sample icon has been updated from a magic wand to a design tool. ESP Web users are now able to use "Recently Updated" to sort product search results in date order based on the "last updated" date. The Supplier Detail Page has been updated to include more detailed information at a glance about a supplier. 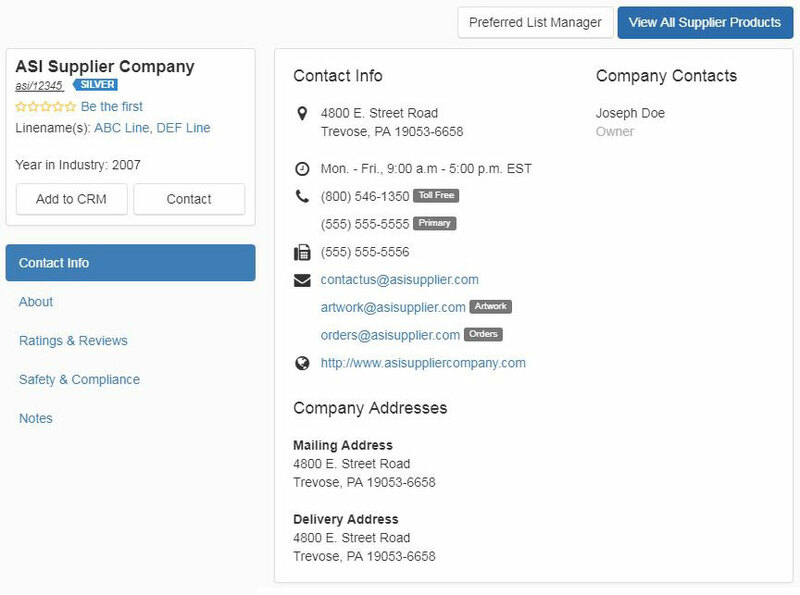 The easy to read contact info page displays the contact and address information for the supplier and distributors can use the links below the supplier name box to view the About, Ratings & Reviews, and Safety & Compliance information provided. Additionally, the Notes section is where users can view notes entered by their company administrators, as well as include personal notes for themselves. The In-Hands Date for all orders will now be displayed with the main information on the Orders Homepage. You can also click on the column heading to sort the orders in an ascending or descending order based on the In-Hands Date. In the Filters section to the right, use the In-Hands date option to display only results with an in-hands date within the range you selected. 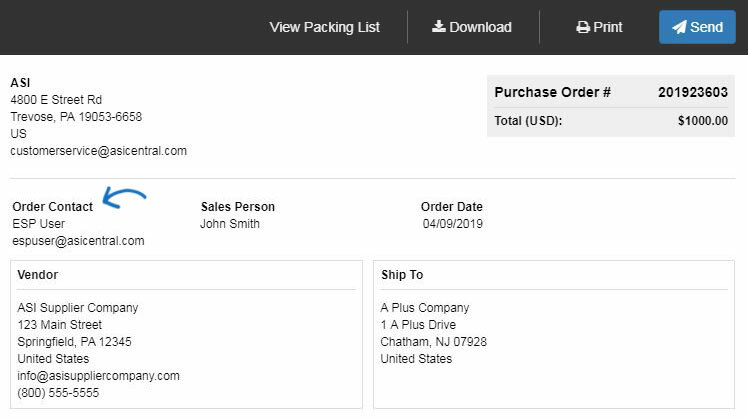 Company Administrators can select to show the Coded Product Number (CPN) or Product Number on Packing Lists. To make this selection, administrators can go to the Document Design section of the ESP Admin. Then, use the dropdown to select Packing List. Click to select CPN Number or Product Number. 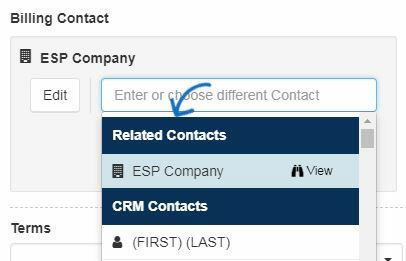 When selecting contacts within an order for Billing, Shipping, and/or Acknowledgements, related contacts will be displayed first. Related contacts consist of any records within the CRM which have a link to the Customer selected for the order. 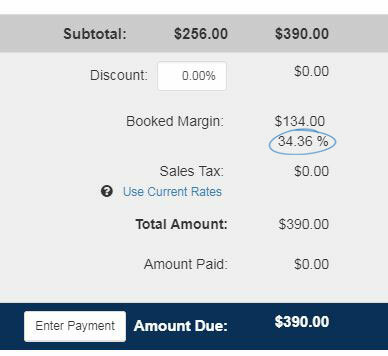 When creating an order, invoice, quote, or sample request in ESP Orders, the booked margin section will contain the percentage directly below the amount. Only the Sales Order will contain the booked margin amount and percentage information, it will not appear on customer facing documentation, such as an invoice or quote, nor will it appear on supplier facing documentation, such as a purchase order. In ESP Web and ESP Websites, search results and ads have been updated to display only information available suppliers that conduct business in your country. This feature enables users to view information from their domestic suppliers (USA and Canada, respectively). In addition, a new option in the Advanced Search will provide a gateway to searching across country lines. The Market option allows distributors to search for items which can be shipped to the USA or Canada. On the Detail page, a notification will display at the top if a product will not be available. In addition to alerting you that the product will expire, the notification (when provided by the supplier) will also contain a link to the most similar product available from the same supplier. This notification will also display in Presentations, meaning if your presentation contains a product that has been set for expiration, you will see a warning when you edit the presentation. When the product has expired, the product listing will display "Product not available" with the notification text reading "This product has expired. Consider this product" with a link to the most similar item in ESP. The Prop 65 Warnings will be more visible on the Detail pages in ESP Web and ESP Websites, as well as when configuring the item during the order process. On the Detail views, the Prop 65 warnings, including all additional details for the main warning provided by the supplier will display below the product image. During the checkout process, all available Prop 65 warning information will be shown below the quantity boxes. TREVOSE, PA - June 26, 2018 - The Advertising Specialty Institute®(ASI) today assured distributors in the promotional products industry rocked by the recent Supreme Court ruling forcing internet retailers to collect sales taxes on internet sales that ASI offers real-time automatic sales tax computations across the ESP® platform, including ESP Websites™. ASI's ESP Websites automatically calculate and add tax rates, in real time, at no additional fee, for any order in the user's customer shopping cart. In addition, distributors can either use the integrated sales tax service or set up their own tax rates on any orders created on the ESP platform, including end-client-facing websites and in ESP® CRM and Orders, such as quotes and invoices. ASI's ESP offers ZIP code-level taxes, a real time tax service that automatically applies state and local rates for specific shipping locations, at no additional cost. ASI continues to be the only data provider in the industry to also apply tax code types. This feature accurately and seamlessly provides county and ZIP code-level real-time tax information to distributors. Click here for a step-by-step explanation of ASI's easy sales tax calculation feature. "Distributors need to know that once again, ASI has you covered," said Timothy M. Andrews, president and chief executive officer of ASI. "In anticipation of the ruling, ASI had already begun actively working with best-in-class tax services that specialize in solutions for both domestic and international taxes. We're ahead of the curve on internet retail tax complications, making sure users of the ESP business platform can put their mind at ease when it comes to complicated and ever-changing tax questions." Last week, the Supreme Court ruled that states can now force internet retailers to collect sales taxes in states where they have no physical presence. However, Justice Anthony Kennedy said the decision left open the possibility that some transactions were so small that no taxes should be collected. The court also did not decide whether states may seek sales taxes retroactively. Stan Hansen, director of tax for the ASI Family of Companies, said the ruling is a mixed bag for the promotional products industry. While local retailers will have a level playing field when dealing with online competitors, it poses a major administrative challenge for business leaders. "The downside of the Supreme Court ruling is that a business will now have to potentially know the sales tax laws of every state, file sales tax forms for every state and be registered to do business in every state," Hansen said. "The sales tax filing requirements put a tremendous burden on a company that sells in every state, such that the company will have to hire outside services or hire additional staff just to comply with the various sales tax laws." ASI's integrated sales tax calculation solves the potential burden that distributors could have faced from the Supreme Court ruling, Andrews said. The e-commerce-enabled ESP platform is integrated with ASI's SmartBooks®, ProfitMaker® and Intuit QuickBooks. Users of ASI Smartbooks can create their own sales tax table while ProfitMaker offers an integrated subscription-based tax service. Plus, ASI's ESP platform includes an open architecture that will allow easy integration into any other order management or financial packages.